How to Remove Rust From Chrome the Cheap and Safe Way! How can I remove rust from chrome without scratching? Got a chrome bumper or other chrome part that's covered with rust but don't know how to save it? 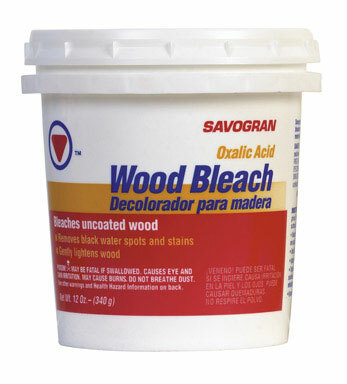 It's called Oxalic acid, or as it's more commonly known: Wood Bleach. It is sold in most large hardware stores like Lowes or Home Depot. Get it in powder form. It's only a few bucks, and you can make a LOT of solution with it. All you have to do is mix a few ounces of wood bleach powder in a large pan or tub of water. Now just soak your parts in it for 12-36 hours. Every once in a while, scrub your parts with a white scotch brite pad (the softest ones) or a toothbrush to clear the rust off of the parts that the solution has loosened so far. When you're done, just rinse the parts off! Any pitting will never go away, but you haven't added any steel wool scratches, scotch brite scratches, or any other damage. Oxalic acid (Wood Bleach), White scotch-brite, and a tooth brush. That's it. A couple of bucks, soak it, wipe it, done. How can I soak big parts like bumpers? Now what do I do with the mixture? Just put it in a container and keep it for next time. Or if it's too bad, (dirty) just throw it out. The mixture is biodegradable, so just dump it out or down the drain... You can't do that with the expensive rust removing chemicals! If you want to, you can neutralize it by throwing in some baking soda, or just dilute it with lots of water.